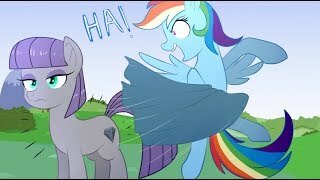 Scribbler's Pony Tales - Ponyville Live! 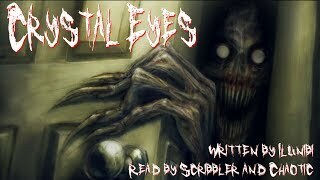 Fanfiction audiobooks and radio plays, audio versions of comics and reviews of (in)famous fanfictions. 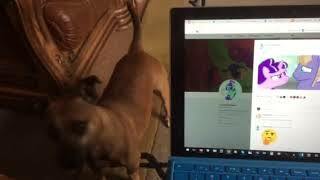 Summary: Rainbow Dash is determined to reveal what Maud Pie's cutie mark really is! 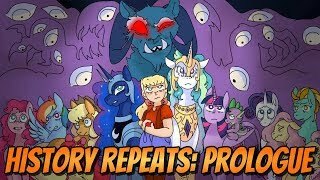 Summary: On their way to Las Pegasus to sort out a friendship problem given to them by the Friendship Map, Fluttershy and Applejack come across a very odd welcome wagon. 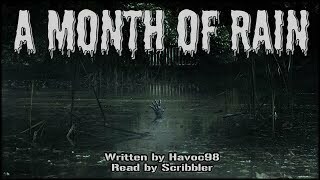 EDIT: DUE TO THEIR NAMES BEING MISTAKENLY SWAPPED IN THE VIDEO CREDITS, PLEASE NOTE THAT SNINJA DID NOT VOICE GROGAR IN THIS EPISODE. HE WAS PLAYED BY HAPAXVA! Summary: Twilight tries to find some kind of game Applejack can enjoy playing with her. 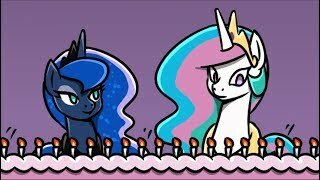 Summary: Luna has a special surprise birthday cake for her sister's big day. 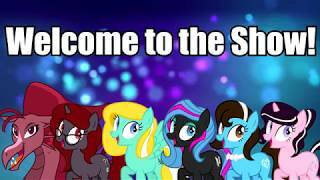 This is a blooper reel that preceded the Screaming Into the Mic: How to Be a Fandom VA panel at Bronycon 2018! 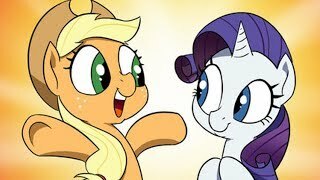 Summary: When Rarity disposes of Applejack's old beat-up hat, she tries to help her friend friend find a suitable upgrade in headgear. Summary: Applejack should not hit the cider so hard when she's feeling melancholy. Summary: After getting their cutie marks, the Cutie Mark Crusaders realize that the symbols on their flanks means something. They are bound together forever, and the markings will not let them separate for even a moment. Only death will do them part, they think. But even then, will it? 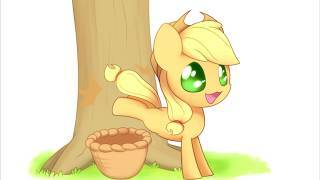 Summary: Applejack just wants to buck apples. Is that so wrong? 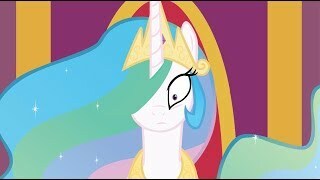 Summary: Celestia deals with the consequences of basically being god to the little ponies. 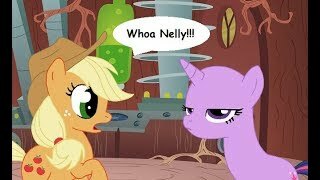 Summary: Twilight sends an emergency message to Applejack asking to borrow her hat. Summary: Lyra demands Twilight pull her finger. 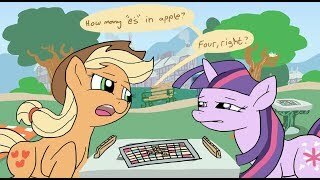 Twilight ... has questions. 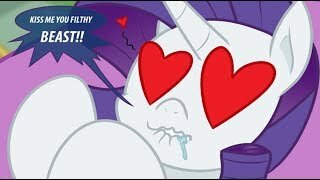 Summary: Twilight walks in on Spike playing with his Rarity doll. 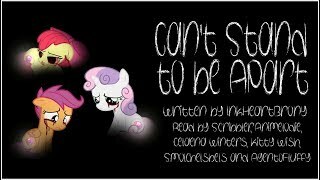 Summary: Octavia tries to repair the bridge between herself and her sister, Lyra Heartstrings, after years apart. Summary: Starlight didn't know what she was about to walk in on when she knocked on the door to Trixie's caravan. Summary: While preparing for X Factor and America's Got Talent, Simon learns a lesson about honesty and not being a massive douchebag from some pastel horse types. 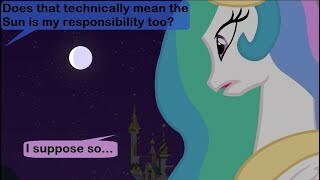 Summary: Historians talk about how a millennia ago brave Princess Celestia defeated Nightmare Moon and saved Equestria from eternal night. The truth of what actually happened, however ... was somewhat different. 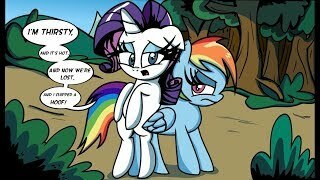 Summary: When Rainbow Dash and Rarity get lost in the woods, they have to find ways to survive. 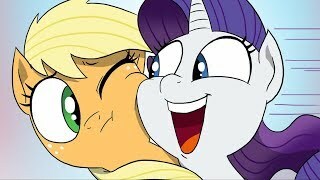 Summary: In the episode 'The Last Roundup' Applejack went missing and her friends went out looking for her. Midway through their search, however, Pinkie desperately needs the bathroom and makes a surprising discovery. Warning for toilet humour! 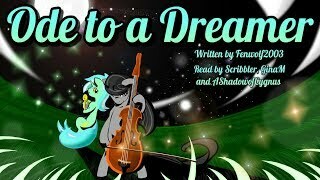 This fic won the vote for my Patron Fic Pick: Applejack Edition in June! 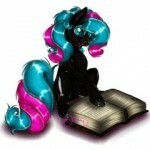 Become a patron to vote in July's Princess Luna Fic Pick!